In a food processor, combine pork rinds, granulated garlic, cayenne, crushed red pepper, onion powder, paprika, and salt and pepper to taste. Process until finely ground, and transfer to a bowl. Lightly beat egg with 1/2 tsp hot sauce. Heat a cast iron pan over medium-high heat. Add bacon fat and/or avocado oil to the pan to cover about 1/4-1/2 inch deep. One strip at a time, dredge chicken in egg wash, then toss to cover with pork rind mixture. Add to hot oil and fry until brown on each side (about 3-4 minutes per side). Once fried, transfer to baking sheet to finish in the preheated oven for 5-8 minutes, depending on the thickness of the tenders. Serve with favorite hot sauce. 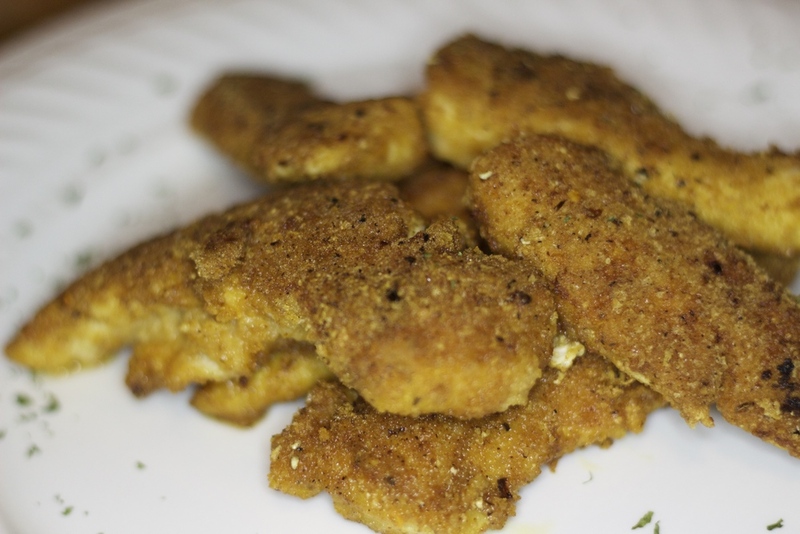 Notes: These fried chicken tenders are a great alternative for those on a gluten-free or paleo diet.